This post was originally written by Peter Lehner and is cross-posted here from the NRDC Switchboard. 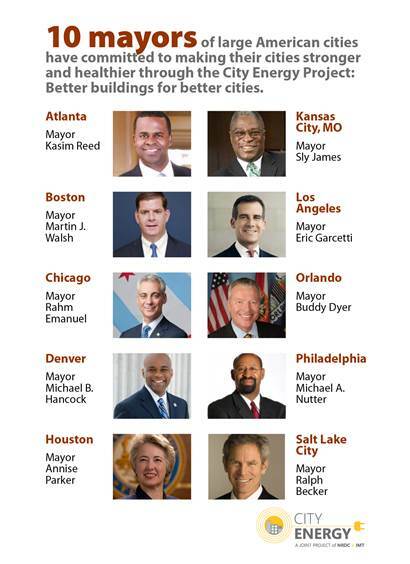 We at the Energy Future Coalition find it an impressive undertaking, and are proud that two of the cities that our Rebuilding America coalition has had big success in – Atlanta and Chicago – are participating. 01/29/2014. In our cities, big buildings often run 24/7. Offices are continuously heated or cooled, elevators are running, lights, computers and equipment are on, continuously humming. Because they’re constantly in operation—you can’t really unplug a building—our buildings use enormous amounts of electricity, and are responsible for 40 percent of America’s global warming pollution. In most cities, the proportion is even higher–up to 50 or even 75 percent of carbon emissions come from buildings.